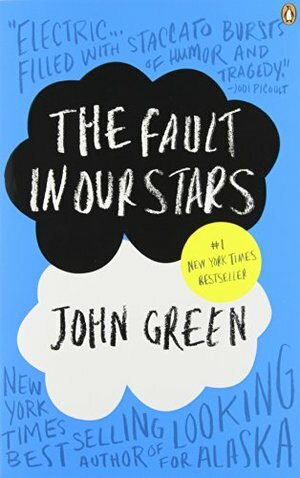 Hazel Grace Lancaster, a 16-year-old cancer patient, meets and falls in love with Gus Waters, a similarly afflicted teen from her cancer support group. Hazel feels that Gus really understands her. They both share the same acerbic wit and a love of books, especially Grace's touchstone, "An Imperial Affliction" by Peter Van Houten. When Gus scores an invitation to meet the reclusive author, he and Hazel embark on the adventure of their brief lives. It was a cute book, but I feel like it was nothing special. When I was done I didn’t feel like I had to read it. The characters were not developed very well in my opinion. This story is about a girl who has the thyroid cancer and fall in love with a boy who lost a leg because of osteosarcoma. It presents how do they deal with their illness and embrace each other into their lives. It’s a heavy theme but the story is encouraging and positive. I feel so thankful that being alive and powerful to face all of the challenges in my life. It is a beautiful piece; it got me into reading more of John Green's works, which are mostly just as amazing. This book was so beautiful. I am inspired by this book to live to the fullest. There is a humorous side to this book, while it follows the seriousness of it. No book will ever beat the greatness of this book. I did not enjoy the book as much as I thought I would. The writing bothered me. It seemed very informal and then throughout, there were difficult letters written to the author of her favorite book or very loaded passages. I wanted to keep reading only because I knew the ending and wanted to see where the book was going. From the beginning, Green made it apear that Hazel would be the one to die when in fact it was really Augustus. I wanted to see the switch. I think that I had such high expectations of the book because the pop culture surrounding it. This was all anyone could talk about for the past two years and I think I expected more. I also thought that since I like Nicholas Sparks novels, this would be similar; but I was mistaken. Overall it was a good story line but it was not a book for me.